10 Books to Help You Reach Your Photography Goals in 2018! This new year you could become the photographer you’ve always dreamed you could be! Whether you want to be “instafamous” for your epic travel photos, launch that online business or just take better photos of your food. Reach for the stars, literally, have a go at astro-photography, or fine tune your existing skills with exposure, whatever your focus, these 10 books will help you scratch “become an awesome photographer” off your New Year’s resolutions list! Fashion & lifestyle photography : succeed in the commercial world and become a stand-out photographer / Dixie Dixon. Lonely Planet’s guide to travel photography / Richard I’Anson. Food photography : a beginner’s guide to creating appetizing images / Corinna Gisseman. The five-minute fix : 200 tips for improving your photography and growing your business / Dale Benfield. Complete photography : the all-new guide to getting the best possible photos from any camera / Chris Gatcum. The art of astrophotography / Ian Morison, Jodrell Bank, University of Manchester. The smartphone photography guide : shoot, edit, experiment, share / Peter Cope. Photography exposure / David Präkel. One face, fifty ways : the portrait photography ideas book / Imogen Dyer & Mark Wilkinson. The practical illustrated encyclopedia of digital photography : step-by-step guide to taking great photographs / Steve Luck. They say, that photography, like art, it is less what the eye sees and more what the soul feels, and we couldn’t agree more. So whether your soul feels the mists of the mountains, the droplets of water from a dog shaking his coat, vintage cameras, cityscapes, fashion, selfies or satellite imagery, we’ve got you covered! Check out these 10 new photography books from our collection. I love my selfie / essay by Ilan Stavans ; auto-portraits by ADÁL. Magnum photobook : the Catalogue Raisonné / texts by Fred Ritchin & Carole Naggar. Aging gracefully : portraits of people over 100 / Karsten Thormaehlen. On reading / Steve McCurry ; foreword by Paul Theroux. Earth from space / by Yann Arthus-Bertrand ; translated from the French by Nicholas Elliott ; GoodPlanet Foundation. Erik Madigan Heck : old future / texts by Justine Picardie and Susan Bright. Retro photo : an obsession : a personal selection of vintage cameras and the photographs they take / David Ellwand. New York serenade / Ciro Frank Schiappa, photographs ; Michele Primi, texts. Celebrate Seniors’ Week with activities, entertainment and practical knowledge at Wellington Central library. at Wellington Central library – 1st Floor. Explore ways to look after your family treasures. 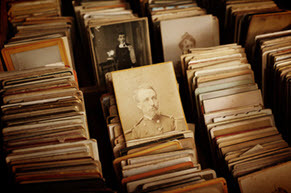 From photographs and postcards to books, old letters and family records you can find ways to preserve those items that you cherish for future generations. Take care for the stuff you love with information and tips presented and discussed by Gabor Toth, the local history specialist at Wellington City Libraries. Tea, coffee, sweets and sandwiches will be served. Bookings essential – please phone 04 801 4074 to secure your place! Come along to a Classic Movie Night at Wellington Central library’s ground floor. Book a night out at the movies, complemented with popcorn and refreshments. Watch a favourite cinema classic and share great moments with your friends. All that and more during the movie night at Wellington Central Library! Bookings essential – please phone 04 801 4074 to book a seat. Join us from 10am – 4pm for a day of fun, fellowship and crafting at the Seniors’ knit-a-thon held at Wellington Central library on the 1st floor. You can knit for one of Crafty Volunteers charities or work on your own project. Take the opportunity to learn how to knit or crochet with instructions from our Crafty Volunteers, who will be happy to teach you. You can also contribute by making peggy square blankets to be donated to the Women’s Refuge and the Night Shelter. Lots of spare yarn, needles and patterns will be available and tea, coffee, sweets and sandwiches will be served.